Thanks to Atria Books for these copies in return for our honest reviews. What a gorgeous cover and a unique book in a book type of thriller. My friends told me to read and/or watch Pretty Little Liars.. and I just never got around to it.. soon... SOON! 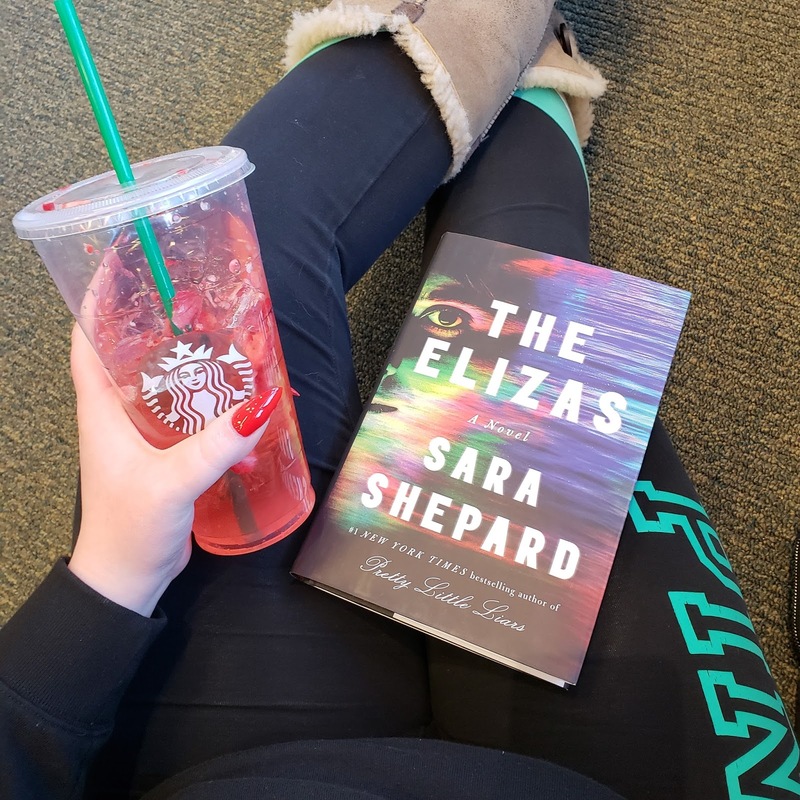 But until then, I was thrilled to get a copy of Sara Shepard's The Elizas! What an interesting and head spinning novel! The book in a book feel was a little confusing at first. 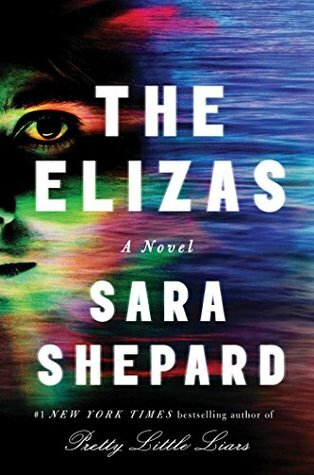 I was actually almost irritated by it at first but as it became clear why it was being incorporated, it began to make more sense and I was almost looking forward to The Dots more than The Elizas... but then... wait for it.... You'll have to read it to figure it all out. It can be a bit confusing at first and it certainly was for me at various times. However, it comes together quite nicely towards the end. I did feel like it got stretched out just a little bit more than necessary but I was definitely concentrated on Eliza's character. I felt just as confused as she was and I was getting just as irritated and frustrated as she was as well! Good lord - with friends and family like that, who needs enemies? Or is she creating scenarios that aren't even happening? What do you do when your brain is working against you? This is a fantastic read for those who like that lighter side of a thriller. Who here has read the PRETTY LITTLE LIARS series? Unfortunately I'm not part of that group (I know, I know, I'll eventually get to them!) 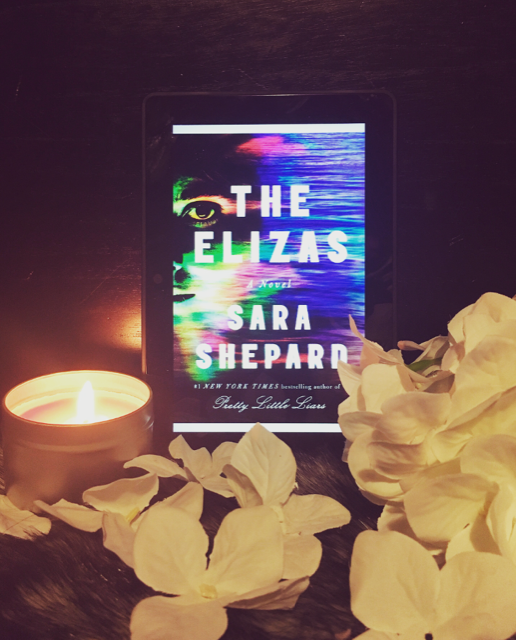 but Sara Shepard's new standalone sounded very intriguing! THE ELIZAS is a lighter thriller read and perfect for those that want to transition into the thriller genre. This is one of those that all readers love - a book within a book and a book about an author! 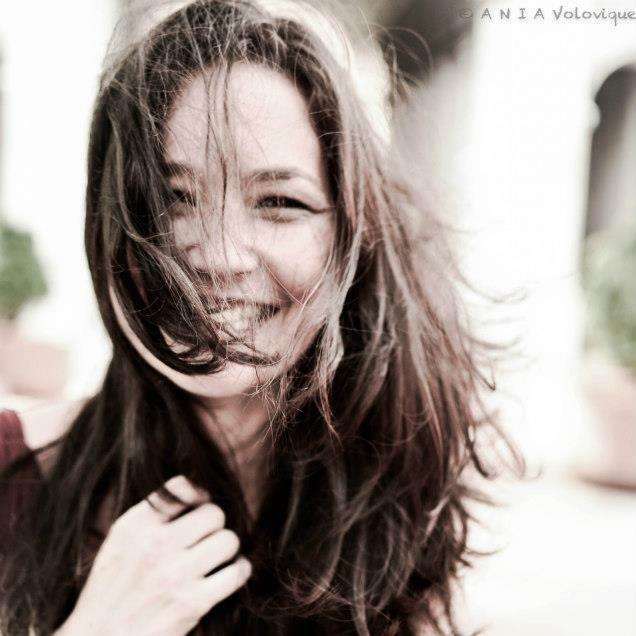 Eliza Fontaine is a debut novelist and she is found at the bottom of the pool of her hotel. It appears to be a failed suicide attempt, but she is insistent that she was pushed. She is determined to find out who her attacker is, but with slight memory loss it is proving harder than she ever imagined. With the lines between her life and her upcoming novel beginning to blur, how do we know what is fiction and what is the truth? Without going into too much more detail, I'm going to say that this is a great unreliable narrator story! Who doesn't love not knowing if you can trust everything your narrator is telling you? It keeps the suspense up and it had me flipping the pages to see what would happen next. Like I previously mentioned, this is on the lighter side of the thriller genre, so don't go into it thinking you'll get a gruesome investigation and crazy twists. I really enjoyed the writing and will be bumping up the PRETTY LITTLE LIARS series in my TBR. Maybe this summer?